Today in Masonic History Lope K. Santos passes away in 1963. Lope K. Santos was a Filipino writer and politician. Santos was born on September 25th, 1879 in Pasig, Province of Manila, Philippines. He attended Escuela Normal Superior de Maestros (Higher Normal School for Teachers). He would later finish his schooling at Colegio Filipino. After the Philippine Revolution, Santos decided to pursue a law degree he attended Academia de la Jurisprudencia and later the Escuela Derecho de Manila, which is now the Manila law College Foundation where he received a Bachelor of Arts degree in 1912. During the Philippine Revolution, Santos father was imprisoned by Spanish authorities when he was found to have a book by José Rizal. Shortly after Santos joined the revolutionaries, he was 17 at the time. In 1900, Santos began writing his own newspaper Ang Kaliwanagan which was dedicated to the ideology of socialism. At the time socialism was a new concept in the World. Santos would see other socialist leaders imprisoned and would end up absorbing many of their followers. He would form at least one organization which would end by 1907. In 1903, Santos began writing his first novel. He would serialize it in his newspaper. In 1906 it would be published as a novel. The novel, Banaag at Sikat (From Early Dawn to Full Light) would become "the bible of the working class Filipino." The novel told the story of a young man who fell in love with a woman outside of his social class. The novel discussed various issues of the time including socialism and capitalism. In 1910, Santos was elected Governor of Rizal province. 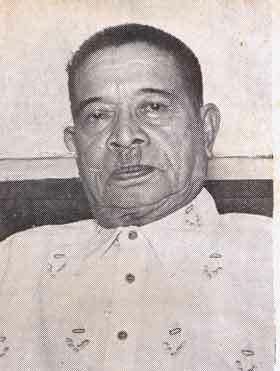 In 1918, he was elected as the first Filipino Governor of Nueva Vizcaya serving until 1920. After serving as the Governor of Nueva Vizcaya, he was elected as a senator to the Philippine Legislature. It was also during the 1910's that he began his advocacy of the Filipino language. In 1940, Santos would publish his first book on the Filipino language which was commissioned by the Commission on the Filipino Language. The following year he was appointed by President Manuel L. Quezon as the director of the Commission. On May 1st, 1963, Santos passed away from complications related to surgery on his liver. Santos was a member of Magat Lodge No. 68 in Bayombong, Nueva Vizcaya, Philippines.